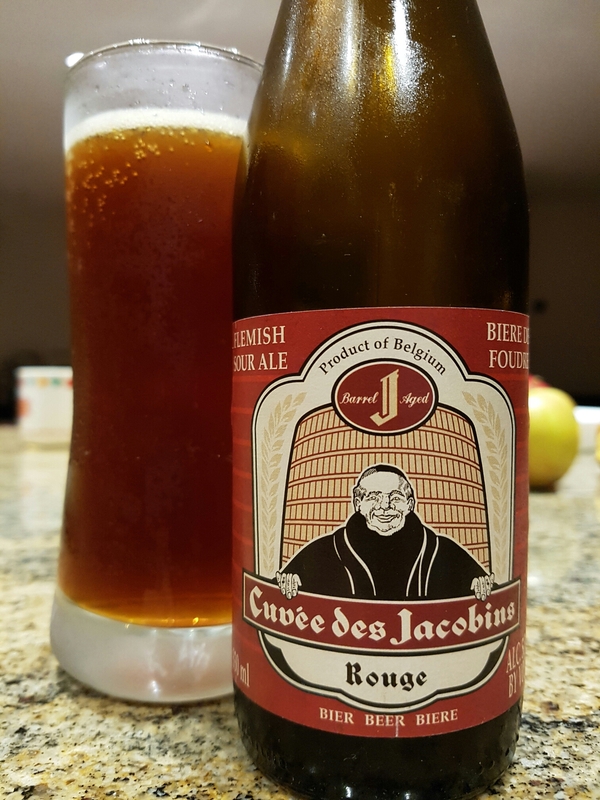 Cuvée des Jacobins Rouge – Brouwerij Omer Vanderghinste (Bellegem, Belgium) | Justintoxicated. Visual: Pours clear copper brown with a smallish head, thick ringed retention, clusters of active micro streams. Summary: Drinks better at cellar temp, though I’m not getting all advertised flavours such as the stone fruit and cocoa. Plenty of acidic sourness but lacking in standout aromatic flavours or punchy depth. A decent sipper but just had a Cascade Kriek [B-] the other day and it was a grade better.